Comfortable footwear is VERY IMPORTANT! Maggie's Cuture Crawl (formerly Maggie's Night Hike) is probably the most Londonist of London charity walks, being a challenging jaunt across the capital and — thanks to its partnership with Open House — studded with stops at some London buildings not usually open to the public, let alone after hours. 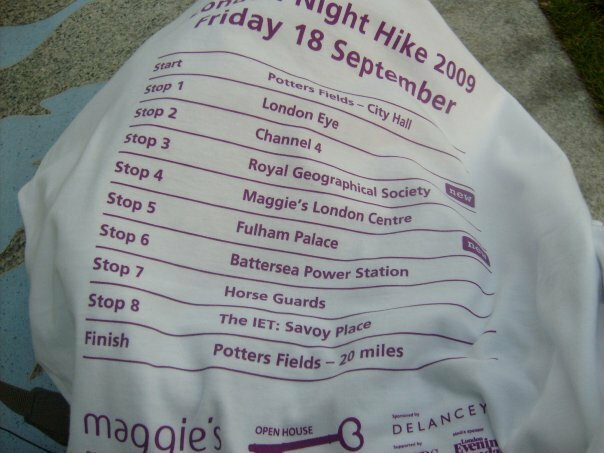 We did it back in 2010, when the route was still 20 miles long, and enjoyed rest stops at Channel 4, the Royal Geographical Society, Royal Society of Medicine and RIBA (where some beautiful singing made us realise how tired and emotional we were). During training we spent some time at Maggie's Cancer Care Centre in Hammersmith to find out about the good cause behind the good long walk. It's a jolly good place. 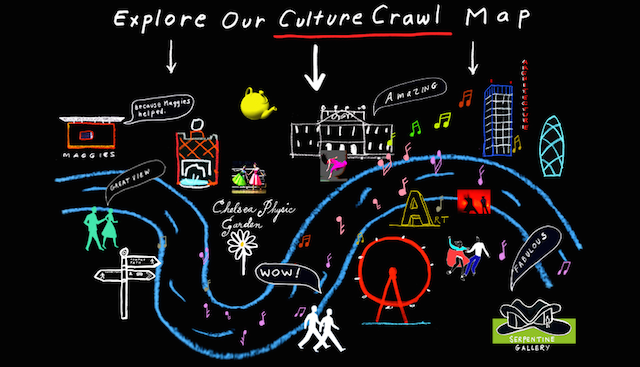 This year, the Culture Crawl starts from Victoria Embankment Gardens and winds its way out west to Fulham Palace and back to the Southbank Centre. Buildings that will be open en-route and welcoming walkers with refreshment, blister pads, entertainment and friendly encouragement include the Foreign and Commonwealth Office, the Serpentine Sackler Gallery, Maggie's West London, Fulham Palace, Foster + Partners' Studio, Chelsea Physic Garden and Royal Festival Hall. 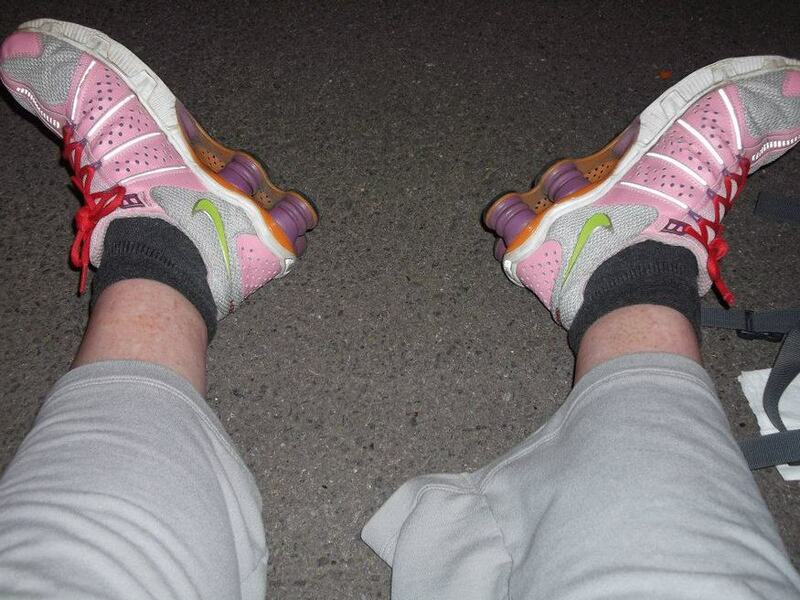 Proof of how good taking part in the Culture Crawl feels, Londonist friend Samantha Veal is gearing up to take part in her sixth consecutive night hike for Maggie's. She says. "I love doing them; it's an excellent way to see London, meet people and raise money for a worthwhile cause". Go Mamfer! Maggie's Culture Crawl takes place on Friday 19 September from 6pm. Entry fee is £40 and all money raised goes to fund Maggie's Centres which provide all sorts of free support to people affected by cancer. 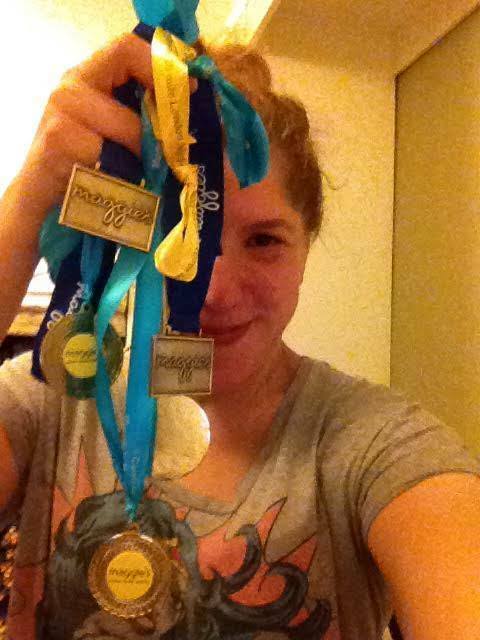 If you're not taking part or sponsoring someone else, please support Samantha.